Ingleburn CBD has a very nice “village” feel about it. Plenty of trees, cafes, shrubs and colour to brighten up the central car parking area. 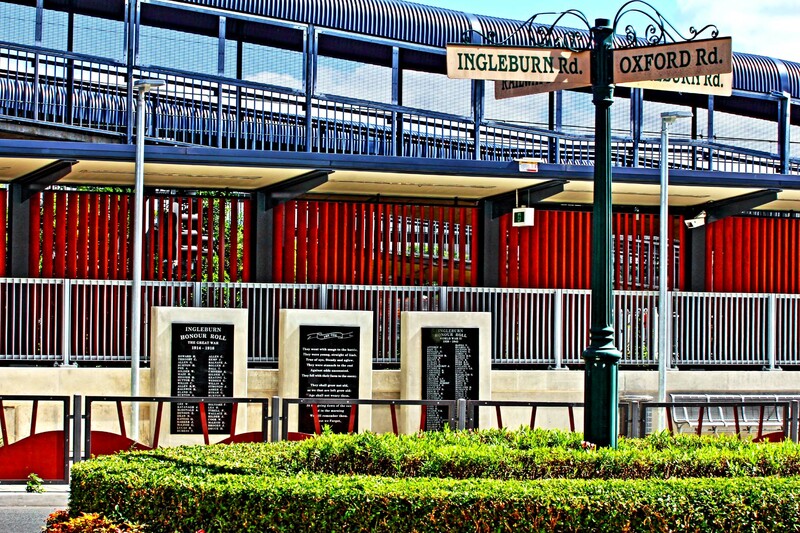 I went there to view the historic horse trough presented in 1933 by Annelies and George Bills (one of many they donated across Australia) and the brand new war memorial installed last year outside Ingleburn Railway Station. I was particularly impressed by the grey-haired trombonist who seemed to have breathing difficulties and could only play a few bars at a time. Ingleburn is a suburb of Campbelltown City.